For over 10 years, power has been supplied to ITER by the neighbouring CEA research facility. Since Saturday, however, the entire ITER site is independently powered from an electrical substation that draws power directly from the four hundred thousand volt (400 kV) national electrical grid. This power is needed initially to support ongoing construction activities. 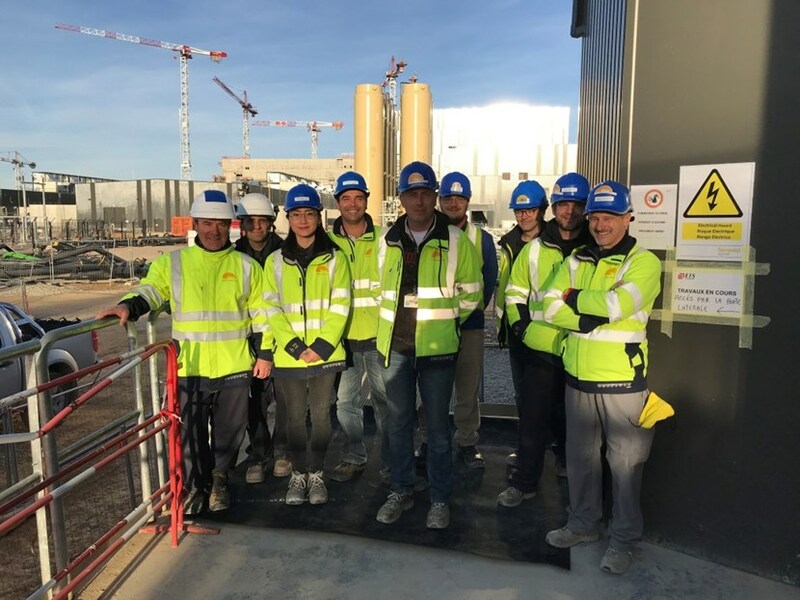 Members of the electrical engineering and science/operations groups at ITER have a reason to smile: the first ITER system has successfully entered operation. After several months of tests and commissioning, the first ITER system—electrical distribution—has entered into operation. Four large transformers supplied by the US Domestic Agency step down the voltage to twenty two thousand volts (22 kV), which is then switched through a set of busbars into cables that distribute it around the site to transformers supplying each building. The switching equipment was supplied by the US Domestic Agency and installed by the European Domestic Agency. By combining different in-kind contributions, along with the central control system developed by the ITER Organization itself, the electrical distribution system demonstrates the integration that will be continued now for each system to come. Making such a switchover is not a simple process. It required the entire ITER site to be "turned off" so that the high voltage connections could be reconfigured. All construction work was halted, computer servers switched over onto their back-up generators, worksite offices closed, and silence settled onto the construction site for the first time in years as ventilators, pumps and machines slowed to a stop. 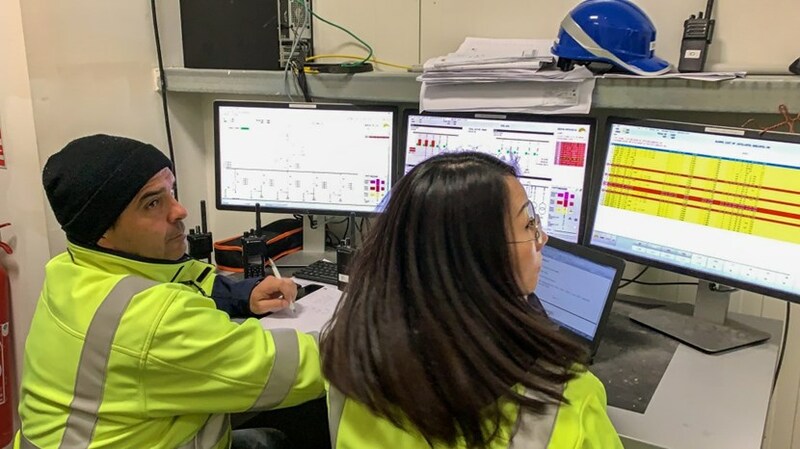 Meanwhile in a temporary control room setup in the Substation Building engineers worked on reconfiguring the networks, while teams of operators drove around the site switching off each building one at a time. At the end, the only building left with lights on was the substation itself, which supplies its own power. After the main incoming switches were swapped over, the buildings were switched back on one by one. Engineers watched carefully as the electrical load rose on each circuit, checking that the protection settings were correctly made and that the equipment worked as expected. Before nightfall all the buildings were back to normal and the generators could be switched off. The next step was to wait for the start-of-work Monday. As building heating systems turned on and activity began, the loads increased and the new system settled down without a hitch. The first ITER system has thus entered operation—the first of many such steps as we complete construction, take each system into operation, and build up to integrated commissioning, which will mark the official start of the ITER operations phase. Integrated commissioning will conclude with the machine's First Plasma.